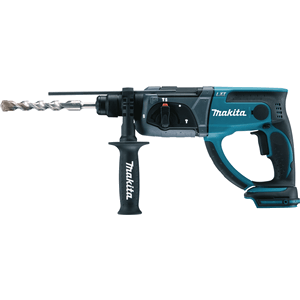 It is a very durable, gloss enamel based on alkyd resins, suitable for interior and exterior use on metallic and wooden surfaces. 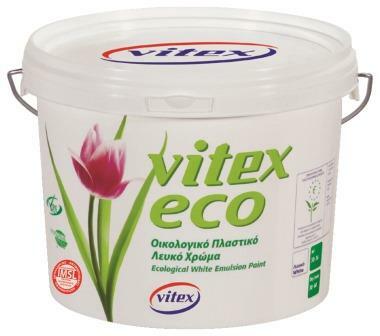 It is a very durable, gloss enamel based on alkyd resins, suitable for interior and exterior use on metallic and wooden surfaces. It forms a hard film that retains its gloss and shade unchanged, even if exposed to adverse weather conditions or washed. Verolac offers high hiding power, excellent working and levelling properties, providing protection and decoration. Surfaces should be smooth, clean and dry, free from grease or rust. Metallic surfaces should be coated with an anticorrosive primer (Vitex's Primer for Metallic Surfaces, Anti- Rust Primer, etc.). Glossy metallic (aluminum or galvanized steel) surfaces should be first treated with Vitex's Primer for Glossy Surfaces and then primed with Vitex's Primer for Metallic Surfaces. 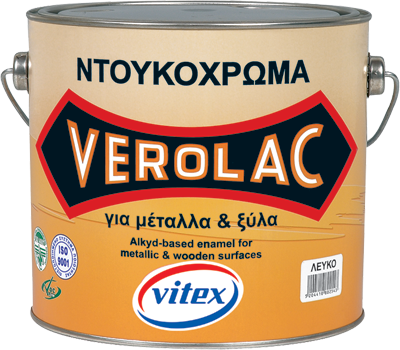 Properly prepared wooden surfaces (treated with wood preservative Diaxyl, stoppered, filled and sanded down to a clean, smooth surface) should be coated with Vitex's Velatura and then painted with two coats of Verolac. It is available in white, black and 48 more shades (refer to colour card). Drying : It is touch dry after 2 - 3 hours . Recoatability Time : It can be recoated after 24 hours, depending on atmospheric conditions. 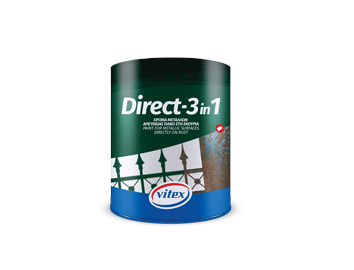 Spreading Rate : 14 - 16 m2 / L per coat on properly prepared surfaces. 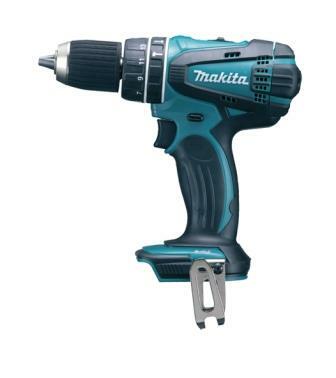 Application : Apply by roller, brush or spray gun.